Ukraine in 2017 was learning to live without Donbas anthracite, continued construction within the Chornobyl disaster zone, engaged on renewables, and also argued about the impact of the "Rotterdam +" pricing formula on the cost of electricity. In 2018, we should expect some new series in a thriller starring Ukraine’s energy sector and a fierce struggle around the creation of a new electricity market. The main shock for the national energy industry in 2017 was the blockade of trade with temporarily occupied territories of Luhansk and Donetsk regions set up in late January by ATO veterans and a number of people's deputies. The move deprived Ukraine of deficient anthracite coal mined in Donbas. The country's leadership sharply criticized the act and urged activists to lift the civic blockade. 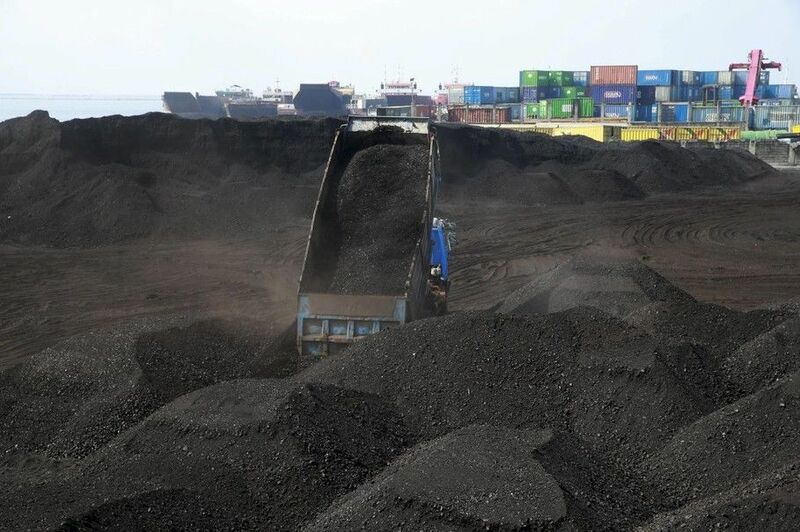 "I believe that the blockade today is a crime, precisely as regards coal ... The blockade will lead to a halt at steelmaking enterprises across the country. The steelmaking industry employs 300,000 people ... It’s nothing else but an undermining of the economy," Prime Minister Volodymyr Groysman said. But the blockade was never lifted. On February 15, the Cabinet of Ministers introduced emergency measures in the electricity sector, envisaging reduced consumption of anthracite while ensuring the stability of the country's energy system. In mid-March, President Petro Poroshenko signed a decree on a temporary ban on the movement of goods across the demarcation line in the ATO zone. Thus, Ukraine had to learn to live without Donbas coal: domestic energy companies managed to diversify coal supplies to ensure their flow from South Africa and the U.S. (besides Russia) and, more importantly, intensified the shifting of anthracite-fed power units of TPPs toward working on gas-group coals mined in Ukraine-controlled areas. In 2017, the state-owned Centrenergo completed the transfer of two power units at Zmiyivska TPP to operations on gas-brand coal instead of those on anthracite coal, while Rinat Akhmetov’s DTEK energy holding completed a similar transfer of two power units at Prydniprovska TPP. According to profile vice-PM Volodymyr Kistion, thanks to such measures in 2017, Ukraine reduced consumption of scarce anthracite by almost a half, to 5 million tonnes compared with 2016. The government also intends to increase own extraction of gas-brand coal due to increased demand. In 2018, the Cabinet plans to allocate UAH 2.5 billion for modernization of state-owned mines, while the energy minister vows that there will not be a single unprofitable mine in Ukraine by summer-end. 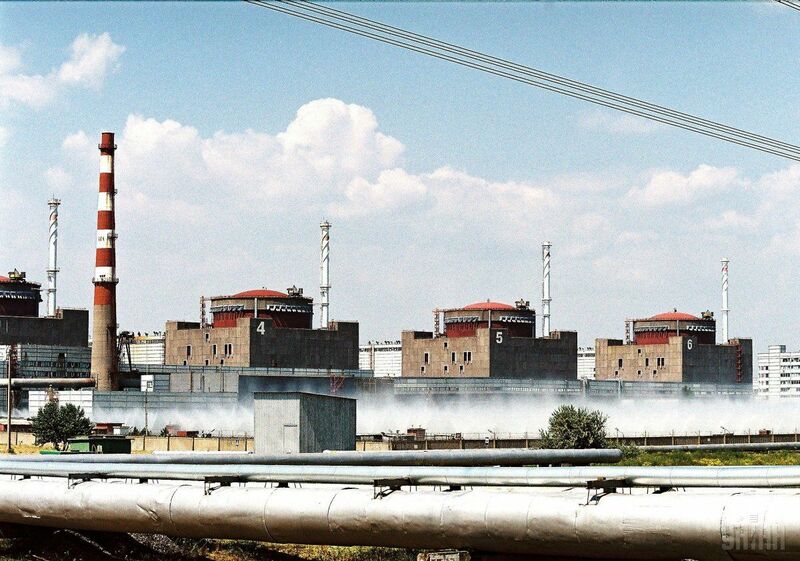 Ukraine’s nuclear industry does not lag behind in its struggle for energy independence. As part of the efforts to reduce dependence on a single supplier of nuclear fuel, Russia’s TVEL, Ukraine is increasing the share of nuclear fuel provided by the American-Japanese Westinghouse. In 2017, this fuel was loaded into the active zones of six reactors at two of Ukraine’s nuclear power plants - in Zaporizhia and Yuzhnoukrainsk. Besides, an important step on the path to energy independence and one of the most significant news of the past year was the start of construction of the Centralized Spent Nuclear Fuel Storage in the Chornobyl exclusion zone, the first stage of which will be commissioned as early as 2019, thanks to the joint efforts by the National Atomic Energy Generating Company Energoatom, the U.S.-based Holtec International, and a number of Ukrainian companies. Now Ukraine will save $200 million annually, which the country had to pay to the aggressor state, Russia, for exporting and processing spent nuclear fuel. In Facility will safely store spent nuclear fuel for up to 100 years exclusively from Ukrainian NPPs, using Holtec’s advanced technology superficial "dry" storage. The project is launched in stages, of which there will be around 16, while the total cost of its implementation is estimated at UAH 37 billion. During the opening ceremony at the construction site, Holtec International CEO Kris Singh assured that the facility is one of the most modern and safest ones in the world. Moreover, the storage can even withstand a crash of a large aircraft. The contract for the Facility’s construction between Energoatom and Holtec Internatinal was signed back in 2005, but for a number of reasons, including due to changes in the political situation, the project remained frozen for a long time. The actual work was resumed only in 2014. By the way, since 2005 Ukraine has paid Russia more than $2 billion for nuclear waste storage. Renewable energy is an obvious trend of the modern society. Surely, many people have heard about its record pace in China and India, and even Costa Rica, which in 2017 almost totally switched to using only "clean" energy. Ukraine is not among record breakers yet but does try to keep up with the global trend. In 2017, some 257 MW worth of new renewable energy capacities was commissioned in Ukraine, which is 2.1 times more than in 2016. 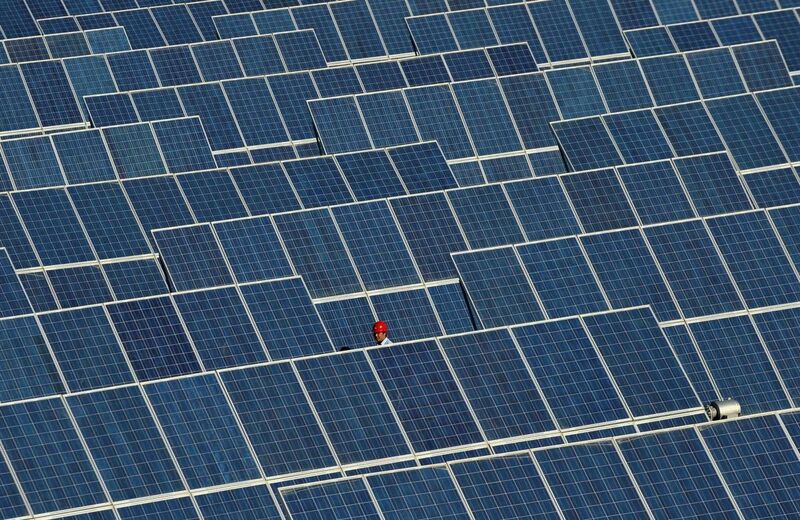 At the same time, 82% of the installed capacity is solar power stations. At the end of the year, the total installed capacity of the "green" energy sector in Ukraine amounted to almost 1,375 MW, with a 1.44% share in electricity generation. Another important news coming from the Chornobyl exclusion zone last year was the beginning of the start of construction of a private solar power plant, aimed to produce 1,024 MW of electricity annually. Private households are also trying their best in the field. In January-September, more than 1,200 families installed solar power stations at their homes, which is 1.5 times more than over the entire 2016. As of late October, a total of 2,323 households installed solar power stations with a total capacity of 37 MW, having attracted almost EUR 35 million to this end. The increased demand for solar panels on the part of private households is primarily due to the law adopted in 2015, which sets a "green" tariff at 18.09 euro cents (about UAH 5.5) per 1 kWh for electricity produced by solar installations up to 30 kW. In addition, local authorities are also helping people switch to renewable energy. In Lviv region, households see a 22% return from the regional budget on their loans for solar panels, and in Zhytomyr region, it’s 20% of the loan. It should be noted that renewable energy in Ukraine, as already mentioned, makes up only 1.44% in total electricity production, while taking up 7.76% of the cost of all energy produced. All this is due to the fact that Ukraine has one of the highest green tariffs in Europe, which is also significantly higher than for other types of domestic generation: up to 17 euro cents per 1 kWh, which translates to about UAH 5.6 per 1 kWh. It becomes obvious that the development of "alternative" energy at a current pace, taking into account an incentives mechanism through a higher "green" tariff may soon hit Ukrainians hard on their wallets. Therefore, the government needs to work out as soon as possible the possibility of moving to the auction mechanism for new renewable energy facilities. If high tariffs remain in place, they will become a major problem for consumers so the support system should become cheaper, while the obstacle on adopting any changes is that the "green" tariff in Ukraine is fixed by law, not a simple regulation, according to a director of the Energy Community Secretariat Janez Kopac who spoke at the meeting of the Ukrainian Parliament’s profile committee. He stressed that the mechanism of auctions is more acceptable, as companies will compete for the opportunity to produce and sell their electricity to the grid, offering the lowest tariff. In 2017, the government decided to finally and irrevocably get rid of blocking shares in many energy distribution companies – the so-called “oblenergos”. According to the State Property Fund, they bring no dividends to the state anyway amid no effective state control over their operations. Therefore, it is easier to sell them, the SPF believes, claiming that Ukraine will be able to gain much more from their privatization. Indeed, the treasury saw an inflow of UAH 3 billion from the sale of blocking shares in five energy companies. However, those sales took place in the absence of any competition. There was a single buyer –Rinat Akhmetov’s SCM. 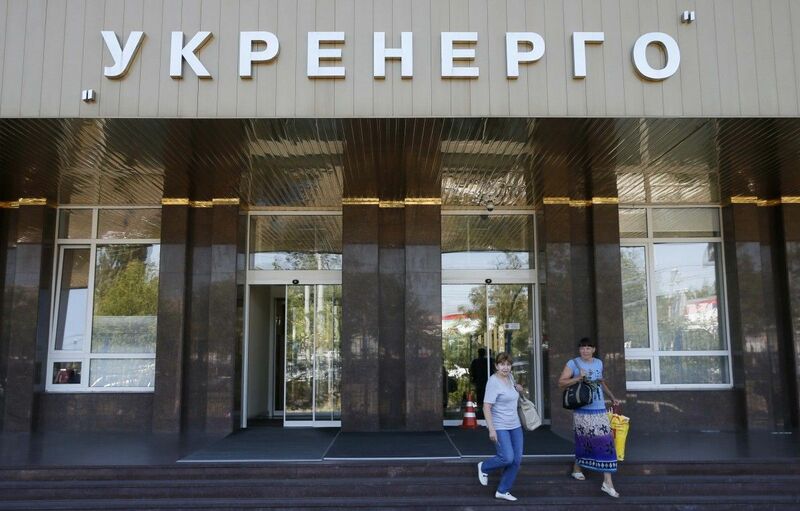 Thus, 25% of the shares of DTEK Donetskoblenergo, Kyivenergo and DTEK Dniproenergo were sold at a starting price of UAH 143.8 million, UAH 759.6 million and UAH 728.236 million, respectively. A blocking stake in DTEK Zakhidenergo was sold at a price 20% higher than the starting one – at UAH 417.2 million, while 25% of the shares of DTEK Dniprooblenergo - at a price 2 times higher than the starting one – at UAH 1.005 billion. Therefore, Akhmetov’s structures brought their share in these companies to almost 100%. Managing Director for Eastern Europe and the Caucasus at the European Bank for Reconstruction and Development (EBRD) Francis Malige in his interview with Ukrainian journalists said that the sale of blocking shares of energy companies in 2017 was not in the interests of the state and far from international standards. According to the official, the government bill on privatization could significantly improve the situation. This draft passed the first reading in November and now it is expected that in 2018 it will be considered in the second reading and Ukraine will finally have an opportunity to conduct transparent privatization of state assets on competitive terms. In fact, Ukraine still has plenty of assets it has set to sale, including blocking shares in power facilities still remaining in the state ownership. In 2018, the SPF plans to sell a 25% stake in Odesaoblenergo, Sumyoblenergo and Donbasenergo, whose privatization failed in 2017 due to a lack of bids. In addition, this year Ukraine scheduled to sell other power companies: 60.3% of the shares in Zaporizhiaoblenergo, Mykolayivoblenergo (70%), Kharkivoblenergo (65%), Khmelnytskoblenergo (70%), Cherkasyoblenergo (46%), Ternopiloblenergo (51%), as well as 99.8% of Kherson CHPP, 99.9% of Mykolayiv CHPP, 99.9% of Dniprovska CHPP, and 78.3% of shares in a state-owned power generating company Centrenergo. As far back as in 2016, the Verkhovna Rada pompously passed a revolutionary law on the National Energy and Utilities Regulation Commission (NEURC), which provided for the creation of an independent regulator in the energy market of Ukraine in compliance with European standards. Meanwhile, in 2017 it became evident that the government will resist until its last breath the creation of such an independent body. Since mid-November, the NEURC has lost quorum for decision-making. The industry has since been in limbo, and hardly anyone expected such a sharp turn from the "revolutionary" law. As a result, the commission failed to take more than 150 important decisions for the industry, for example, on setting tariffs for generating companies, wholesale electricity market prices for 2018, and issuing licenses for new companies. According to the law, for the planned re-election of NEURC members, which were previously appointed by the president, in May 2017 a five-strong bidding commission was to be created, consisting of two members from Parliament, two - from the President, and another one from the Cabinet. This commission was to select new NEURC members to replace pairs of them, in accordance with the law, resigned every six months. The thing is that no one rushed to appoint their representatives to the commission. The Verkhovna Rada was the first to fill their quota and it was only made on October 5! The Cabinet appointed a third member of the commission in another week, while the president took another month to take such a responsible step, while the NEURC’s work had already been blocked due to a lack of quorum. As a result, the bidding commission began to select new members only late December 2017. Thus, Ukraine's energy market is to remain without a functioning regulator until the spring of 2018, as the procedure for electing new NEURC members, at best, takes at least 2.5 months. The Verkhovna Rada intervened, making changes to the "revolutionary" law, which granted the president extraordinary powers to appoint new members of the regulator for a period of 3 months on a one-off basis. NEURC’s operations were unblocked, and the Commission immediately began to take active measures. Within a few days a number of documents were adopted - secondary legislation required for the implementation of provisions of the Law "On the Electric Energy Market" and the future launch of its competitive model. In particular, the regulator approved the Code of the Transmission System, the Code of the Distribution System, the Procedure for Forming Fees for Joining the Transmission System and the Distribution System, the Market Rules, the "Day ahead" and daily market rules, and the Commercial Power Accounting Code. 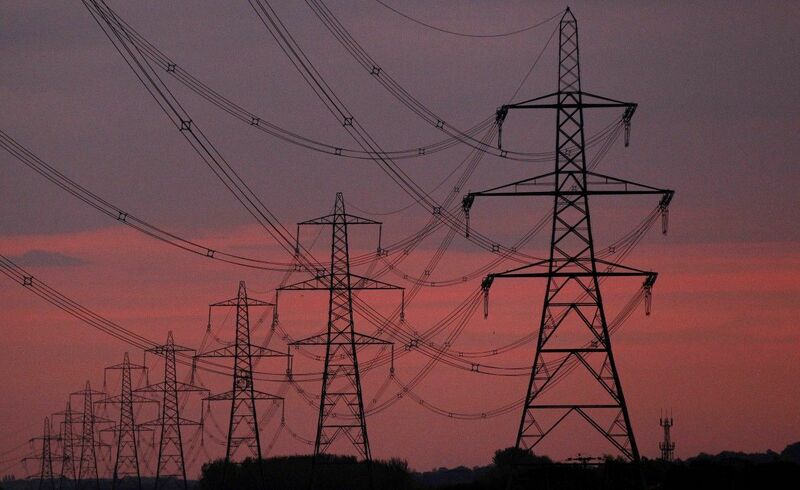 In addition, the commission revised the tariffs of energy companies and also increased the average annual value of the wholesale market price (WMP) for electricity for 2018 compared to the current value of 14.4% - to UAH 1,562 per MWh, which immediately provoked a strong public criticism. Energy expert Andriy Herus believes that a WMP increase for 2018 will lead to an increase in cross-subsidies (when prices for the population are artificially low compared to prices for industrial consumers), and to get rid of it, the government will have to raise prices for the households by 2.5 times. Moreover, according to him, an increase in the wholesale market price for electricity will allow DTEK's energy holding owned by Rinat Akhmetov to get an additional UAH 10 billion. It is obvious that due to the loss of public confidence in the NEURC, every important decision it takes draws a scandal and is not accepted by the public and businesses, so only the election of independent and qualified commission members could fix things. It is also worth noting that the law on the NEURC is not the only one, the implementation of which can be hindered. In the spring of 2017, the Verkhovna Rada adopted another revolutionary law "On the Electricity Market" designed to radically change the rules existing in the segment. Ultimately, businesses and even household consumers will be able to choose their electricity supplier, focusing on quality and price regulated by the market, not by the state. Respectively, competition will emerge between energy companies, something Ukraine has never seen. The full-fledged implementation of the new market model was delayed for the so-called preparatory period, during which secondary legislation should be developed, the problem of mutual debts between market participants (about UAH 30 billion) - solved, cross-subsidization – eliminated, and much more. According to the law, for household consumers, the new market should be launched no earlier than 2020, but for businesses – as early as in the summer of next year. It is obvious that for some such large-scale changes seem more than frightening so the timely implementation of the law is being sabotaged. According to a member of the parliamentary committee on fuel and energy complex Lev Pidlysetsky, the launch of a new market for businesses can be shifted toward the end of 2019 as a result of delays in the adoption of necessary decisions by state bodies. "Now we are lagging behind in terms of implementing all the steps that are necessary to launch the new market. The optimal period when the market can start operating is late 2019," he said. The shift in the timing of the introduction of reformist laws seems to have already become a bad habit of Ukraine’s authorities. However, when it comes to energy, procrastinating is an inexcusable pleasure. The lack of reforms for over 25 years led to a disastrous result - the infrastructure needs a modernization worth of billions of hryvnias, while consumers, amid deteriorating quality of services, are only seeing annual tariff increases, not knowing where their money goes. Therefore, all difficulties Ukraine is facing this year, it is obvious that maintaining the status quo is a no-go for anyone. The energy industry, just like the entire state of Ukraine, is on the verge of large-scale changes. The authorities are yet to accept this fact and do everything possible for their rapid and high-quality implementation.